1. The starseed is a sentient being who originates from a different star system and is now living on Earth. Note, however, it is said that all humans originate from different star systems. Nonetheless, there are those starseeds whose designation is one specifically on this planet for a mission to assist in the planet’s ascension or shift into the 5th dimension–this, by assisting in raising the planet’s frequencies (inclusive of Light energies) to enable this shift. The starseed (also known as “lightworker/ light server/ way-shower” or other conscious human) volunteered to be here prior to arrival on the planet via incarnation, visitation, braided consciousness, disembodied multidimensional energy, consciousness swap or “walk-in” (though not all walk-ins are way showers or lightworkers). 2. The starseed contracted the human 4-body system (physical, emotional/astral, mental and spiritual) as part of this experience. A mastery of the 4-body system is part of awakening one’s consciousness. Any mal-adjustment to the host body or planet makes it difficult for the starseed to broadcast higher frequencies of vibration – though he does so regardless at higher than your average human frequency – to support the planetary shift. Mal-adjustment means just that–having difficulty adjusting to the human physical, emotional, mental and/or spiritual body and/or conditions of the planet. This lends itself to negative dynamics in starseed relationships as well as the starseed’s own existential crisis. 3. That said, however, the Spiritual Hierarchy (including Archangels, Angels, Cosmic Beings, and Ascended Masters) with the aid of the Galactic Community (of Light) – upon our collective request – have already begun to anchor enormous amounts of Light energies – (genuine) spiral energies, the Mahatma energies, portal energies, galactic energies – that have entered the material plane into Earth since the Harmonic Convergence of 1987, if not prior to this, but the bulk of which is the past few decades. These energies were designed to help in a global awakening as well as the ushering of Earth into higher realms of consciousness. With the acceleration of time (these past few years and even more dramatically since the end of 2012), one feels the intensity of these energies depending on his/her individual level of consciousness. 4. The human experience (starseed incarnation or not) requires a mastery over this 4-body system in order to do the job one was sent here to do. If the starseed is still consistently living an emotional roller coaster experiencing bouts of anger, jealousy, sadness, depression, ego-driven differences of entitlement, etc., he is actually lowering his own vibration. He need not be perfect; however, once he has become fully conscious, he is not likely to devolve (but it’s also not impossible to digress since sentient beings operate with free will). 5. When a starseed or human expresses a “Lightness of being” (and does so as a way of life) – i.e. living genuine feelings of laughter, joy, love, contentment – the very state of these experiences raises the vibration or frequencies to the highest levels on the planet which can compensate for and counter balance hundreds of thousands even millions of individuals broadcasting at much lower frequencies (such as shame, guilt, anger, depression, fear…) For a wonderful article and list of these frequencies, see “Measuring Consciousness Levels (Dr. Hawkins)“. 6. Starseeds do indeed emit higher frequencies of vibration than your average human, anchoring greater amounts of Light energy to the planet simply by virtue of being a starseed Lightworker; however, as the starseed (or human) awakens to his/her mission and becomes conscious of his divine origin, his vibration exponentially increases; thus, allowing for greater assistance in the planetary ascension process. 7. To be conscious, a starseed must awaken to his mission. 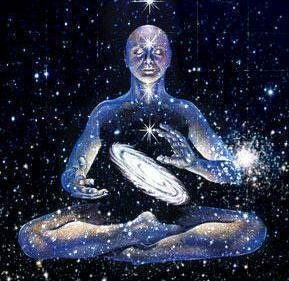 (b) more importantly, the starseed (and/or conscious human) experiences Self Realization–that he and all of creation in the universe(s) are One. He sheds any mental untruths that separate him from another (being or species). He realizes that the Creator IS the Creation. He realizes his own God particle (aka Source Energy, The Existence, Unified Field, Prime Creator, Infinite Spirit, Central Sun, Universal Being, etc. or simply known to humans as “God”; though note that we steer away from this term due to its historical gender, cultural, political and other social inequities) in the fabric of the starseed’s being that connects him to all life forms. 9. Not all ET souls incarnated on Earth are starseeds with the Lightworker mission. And that’s perfectly okay. Some or many of those who feel they “do not fit in” may easily be of ET civilizations whose worlds were destroyed or have become extinct, and therefore, were given a new life incarnated as humans on Earth. This can explain the inability to adopt the new dominant culture or the constant feeling of alienation–which, please note, does not necessarily broadcast Light frequencies. 10. As noted previously, in his mission, the starseed is here to raise the positive vibration and Light energies of Earth to enable her dimensional shift, an elevation to higher realms of consciousness into the 5th dimension. Though often written as the “ascension”, another way of interpreting this experience is actually “descension“–i.e. higher vibrational energy from the higher realms of Light that comes from your Higher Self descending into your Lower (human) Self. 11. 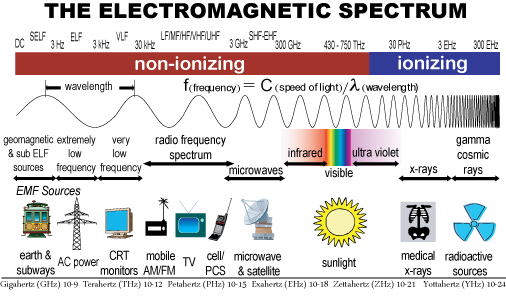 “Light” in and of itself is more than just “information”, however, this simplification is to assist the human understanding thereof. In order to attain higher Light quotients in one’s being, a purity of heart – the element of Love – must be consciously nurtured and demonstrated in one’s daily life experience. “Love” has been known in Christian bibles as the “Holy Spirit” and the “Holy Ghost”. To humanity’s brothers and sisters who exist in the fields of Light, they refer to this Love as the Goddess Energy, inseparable from the Light. 12. Hence, part of living consciously is to activate one’s Heart (also known as the Sacred Heart to Christians, the underlying theme in the works of the Christ Jesus). Today, many of humanity’s New Age voices carry this message of Heart Consciousness (supplanting what used to be exclusively Mind Consciousness access to the Light (again, aka Source Energy, The Existence, Unified Field, Prime Creator, Infinite Spirit, Central Sun, Universal Being, etc. or simply known to humans as “God”; though note that we steer away from this term due to its historical gender, cultural, political and other social inequities). Love & Light or “Goddess & God” exist in unison. Love is the language of Light. It is, therefore, critical for the human to be in touch with, control of and avail his feelings or emotions–expressions of the Heart. 13. In order for the starseed to understand what it means to assist in raising the positive vibration of Mother Earth, the starseed must understand that Source and Nature are One. This is common knowledge and practice amongst native tribes on the planet who have also anchored Light energies for the shift. 14. Hence, it is about eco, not ego. Some starseeds may find themselves entitled and above the very humans they came to assist (by separating themselves: us vs. them mentality) by virtue of being different. It’s best to transcend both the ego and the duality of good and evil (since The Source Energy is All That Is). One would otherwise actually be broadcasting dark (not Light) frequencies; thus, defeating one’s starseed mission. We are One. 15. There are currently almost seven billion people on Earth. Of this number, one billion is said to awaken (if not already) as starseeds, lightworkers or way-showers on the mission to assist the planet. That is one out of every seven people. This is largely an eco mission. It is about the ecology of Earth instilling in humans the need to treat the planet with Love and respect, to nurture her soils, seas, landscapes, elements, animal, plant and mineral kingdoms. 16. However, in order to assist in healing the planet, we must first heal ourselves. Many starseeds are here to do just that–particularly help in healing humans by example through love, compassion, clarity and understanding. 17. Nonetheless, many starseeds also have 4th dimensional abilities to heal via energy healing, channeling, frequency healing (sounds, music…), telekinesis, telepathy, etc. This does not presume, however, that those with these abilities are necessarily conscious and using these abilities for healing purposes. They can just as easily direct these energies toward the dark as they can toward the Light (free will). This is why it’s so critical to have a genuine loving disposition, a purity of heart in all that one is or does. “Get what you give.” “Reap what you sew.” e.g. Loving hands that plant vegetables yield the sweetest most delicious foods for man’s plate than any factory farm–organic or not. Likewise, angry farmers, cooks and servers or tortured mistreated animals used for meat supply will taint the very food one consumes with lower frequencies of energy, because they are not handled with tender loving care–thus becoming a case for prayer, appealing to Source or the Spiritual Hierarchy with gratitude to bless the food in order to cleanse it and nourish/heal the body; still, even most humans today have lost touch with the very purpose of this practice. — “The Complete Ascension Manual” by Dr. Joshua David Stone.